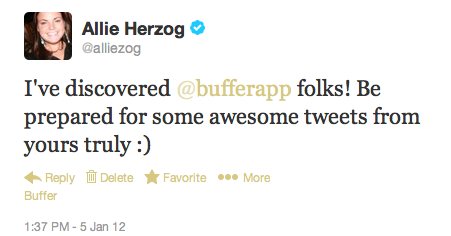 1) I still remember exactly when I first discovered Buffer (from a co-worker at Likeable Media) and how much I loved it! I even sent this tweet in excitement. From then on it has made managing both my personal social presence and countless clients infinitely better. 2) I’ve been writing since I was 6 years old, and my dad (a journalist in NY for more than 40 years) taught me how to type on our Atari computer. I wrote my first “novel” shortly after – a mystery called The Adventures of Jillian Rhonda, loosely based on the Nancy Drew series… Since then my writing experience has grown considerably. I studied journalism at the University of Rhode Island and wrote for the campus newspaper, I interned at Scholastic magazines, I wrote my own column for a local newspaper, I started a blog in 2006 and then stumbled gracefully into the world of social media sometime thereafter, expanding my writing outlets to blogs, websites, Facebook posts, tweets, etc. 3) More specifically, I’ve written a number of blog posts on the topic of social media, I’ve been chosen based on my writing to be part of brand campaigns such as IBM’s #MySmarterCommerce and Pepsico’s Social Communicator project covering Internet Week in NYC, and even earned an appearance on CNN as a social media expert not because of my job at a top social media agency but rather because a producer was a fan of my personal blog. 4) I left the fast-paced agency world of NYC to live a more relaxing life by the beach in the beautiful seaside town of Newport, RI. Although I’m no longer living in the hustle and bustle of the big city, I’m still a hustler when it comes to working hard and pursuing my passions. I’m inspired by the notion of working where I feel my most creative, which for me, is sitting in a coffee shop with a chai latte, my laptop and some great music in the background. Bonus points for being able to see, smell or taste the salty air of a nearby ocean. I find inspiration comes from the most unlikely places and being able to work at a dream job while living where I chose would be the ultimate work-life zen. Think I’d make a great writer for Buffer? Please share this post and let @bufferapp know you want to read more from me! Turns out, I’m a wuss. Also? I’m not one of those people who could go on a digital detox or whatever the kids are calling it these days. I have now confirmed that the internet (particularly social media) is my lifeline to the outside world and the way in which I get 99% of my news and information. What confirmed it? 39 LONG HOURS WITHOUT POWER! 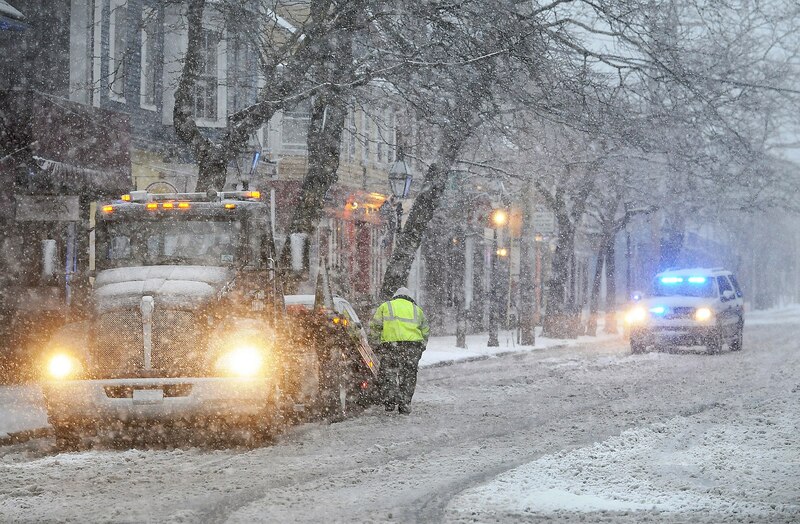 Snowstorm Nemo hit little Rhody hard and left the entire Aquidneck Island (Newport, Middletown and Portsmouth) without power starting Friday evening with some people going as long as four or more days without. Hat’s off to those people, truly. Approximately 10pm Fri night: Power goes out for 5 minutes, I freak out, power goes back on, I tweet about it. Approximately 10:20 pm Fri night: Power goes back off…and stays off. I tweet about it…and cry a little. 10:27pm: I text my mom frantically. I check Twitter frantically. I tweet to National Grid. Sometime between 10:27 and 1am: – I fall asleep dreaming of waking up to the harsh light of my bedside lamp the TV blasting. Saturday – timeline hazy due to lack of heat, light, TV, hot coffee, etc: I find out through Facebook that one bar in town is open and serving food and possibly one hotel is serving free coffee. We proceed to bundle up as there is no way in heck we are staying in our apartment where the thermostat has already reached 46 degrees. We head out and head to the Hotel Viking, where they’re serving coffee and a “cold lunch”, there’s no heat. We leave for greener pastures because at this point we are still hopeful there’s some magical oasis of heat, TV, coffee and bacon and eggs. We head to Benjamins which, as per Facebook, IS in fact the only bar open in town at this point. They’re PACKED and getting a table to be served food seems unlikely. We decide to trek on, now hopeful there’s other places around. We arrive at the Newport Marriott with high hopes. Turns out they DID have a generator but it broke. They’ve got bigger problems too because they’re hosting Reebok for some big wig type conference. There’s no heat although it feels warmer than our apartment. We spot some staff cleaning up and ask if their restaurant is open. They say no and we must look pretty defeated because they sneak us behind some curtain and offer us what’s left from their morning buffet. They tell us “everyone’s gotta eat today” and I understand in a miniscule way what it must feel like to be homeless or hungry and have to depend on people’s good will. I appreciate the gesture immensely and accept the coffee while my boyfriend, not one to turn down food, enjoys a sandwich, leftover salad and some sort of soup. I again have an epiphany about myself realizing that I declined the food because I wasn’t really in the mood for questionable looking deli meat, wilted salad greens and mystery soup but realize after the fact what the expression “beggars can’t be choosers” truly means. If this was my reality every day (no warm home, limited food source) I’d have to be grateful for whatever I could get and not chose what I eat on my own freewill. 1) As the boy scouts said, always be prepared! We were not, at all. We thought that wine, ingredients for chili and homemade pizza, and a flashlight would get us through but we didn’t truly prepare for the reality of no heat, no cooking source or refrigeration, etc. 3) Having people you can rely on is important. I had a minor breakdown in which I realized that my closest family member was in Boston, which is pretty close but wasn’t nearly close enough at the time. While I have some friends in town I was really very lucky to have somewhere to go and realized that although I’ve always been the type to move places and make new friends, there’s something to be said for having lots of family and friends and a close-knit support system nearby. When I was first asked to be part of IBM’s Social Influencer Think Tank and told that I’d be sharing my idea of smarter commerce, I had a million things in mind. There are so many times that social media and technology tools have enriched my life, got me jobs, got me on TV, connected me with family and long distance loves, and so much more, but after experiencing the smallest taste of a crisis situation, my belief in the power of social media was reinforced 1000%. Over the next month I’ll be sharing plenty more stories of how social media and the latest technology has bettered my life, from the big to the small. And now I ask you friends, how has it bettered YOUR life? Please share your stories with me here in the comments or on Facebook or Twitter, and don’t forget to use the hashtag #MYSMARTERCOMMERCE. 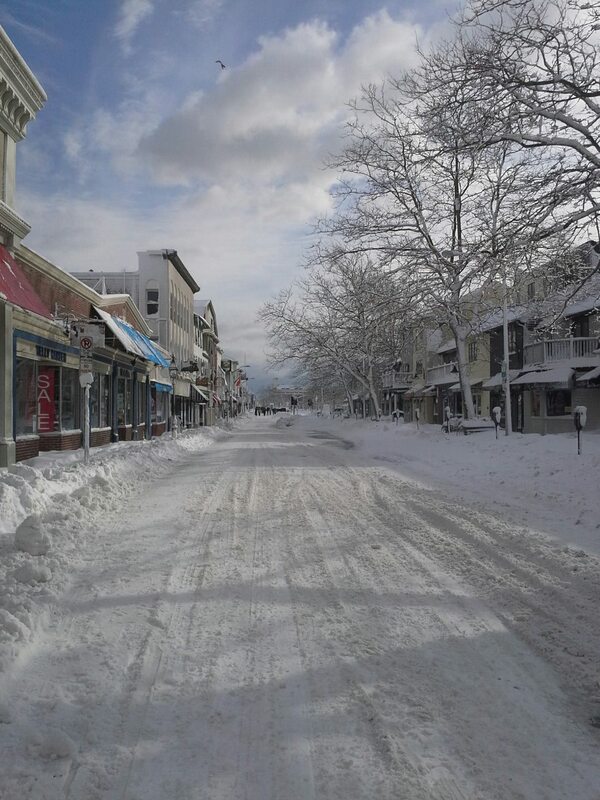 PS, Special thanks to Frank, Joanie, Jedi, Heather, Steve, Allie, Kathleen, and the Hunt Family; the Newport Marriott for their hospitality; and What’s Up Newport and The Newport Patch for their great coverage and information for getting me through my first New England Blizzard. February 12, 2013 February 12, 2013 by Allie1 Comment on Exciting Announcement! Hi friends! I’m excited to announce that I have been recruited by IBM to be a part of their #MySmarterCommerce Campaign and join their Social Influencer Think Tank. What the heck does this mean, you ask? Well basically they think I’m cool and interesting (who doesn’t?) and they’ve called me an “influencer” (shudders…) and a “connected consumer” (what the…what?). I think this means that I wouldn’t dare buy something, eat something or go anywhere without consulting Twitter, Yelp, Instagram, Facebook, Pinterest…errr yeah, it sounds like I am this connected consumer thing. FOR SURE. In layman’s terms, they want me to help define what Smarter Commerce means to me, and they want YOU, my loyal readers, family and friends to join in the conversation too! For the next 30 days I’ll be blogging, tweeting, etc. 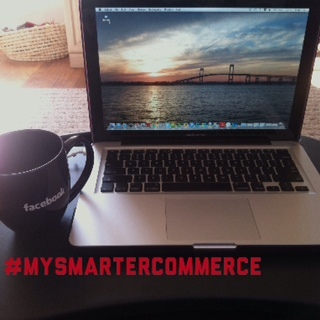 about what Smarter Commerce means to me, and how technology and social media plays a part in my everyday life. I encourage you all to leave comments, tweet me, Facebook me, etc. and tell me what you think and what it means to you. You might even win an Amazon gift card (woo!). The sky’s the limit with this campaign and there’s a lot of exciting stuff to come. I’ll be featured on IBM’s site and some of my content may be used in presentations at South by Southwest, IBM’s Global Conference in Nashville and beyond. If I’m really ridiculously interesting, I might even get to speak at SxSW (those who don’t know, it’s like Geek Spring Break, see here) and be IBM’s VIP guest and/or be followed around by film crews for part of their Nashville Conference (it all sounds very E-True Hollywood Story). I’m pyched to be part of it all and can’t wait to see what takes shape. Help me get there you guys! Stay tuned for my first post in which I force myself to relive this weekend’s blizzard and my 39 hours without power (AKA the longest 39 hours of MY LIFE). It will be riveting folks, and if it doesn’t convince you how much I (and all of us really) DEPEND on technology, I don’t know what will. Check out the #MYSMARTERCOMMERCE hashtag on Twitter to see more of what this campaign’s all about and check back here often to get involved!